Reviews have been moved to PRODUCT REVIEWS - Thank you!! 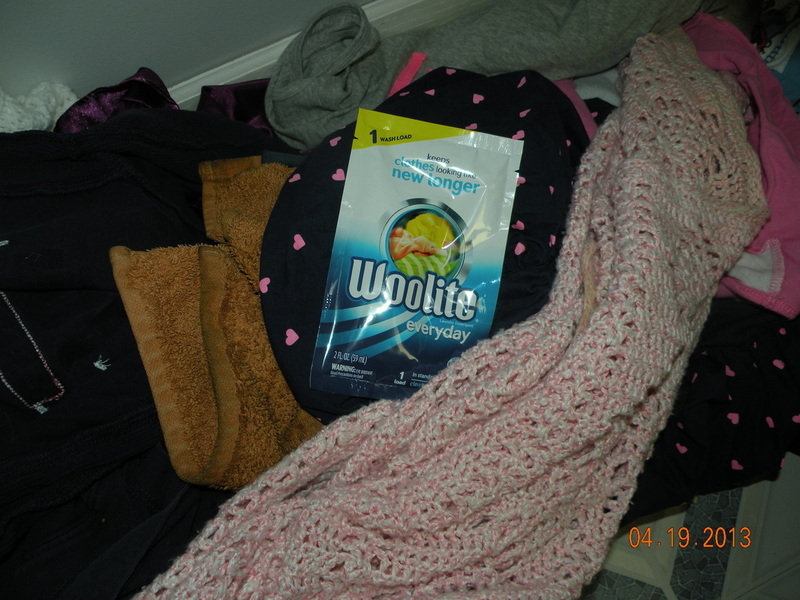 The Laundry Fairy decided it would be best to try Woolite on Everything. 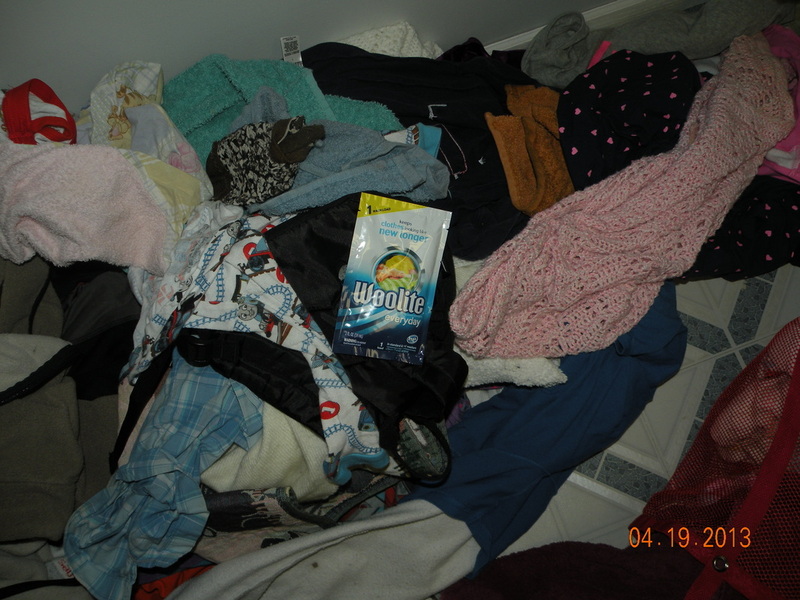 This included pajamas, dresses, soft blankets, towels, speciality socks, and a Prized blanket (Yes, I was daring - but with the reviews I've read previously I thought I would take the chance). After the washer was done doing it's washing I called the trusty four year old in to give it a good sniff test. Once the dryer was done we checked it all out. The prized blanket came out beautifully, the dress in the picture looked great, the PJ's were PJ's and a white blanket came out feeling "like Softy" (my 4 year olds extra soft flannel blanket). So, my thoughts??? I LIKE Woolite! I would reccommend it to anyone. We haven't had any skin problems from it as of this point, which is good because we all have sensitive skin. 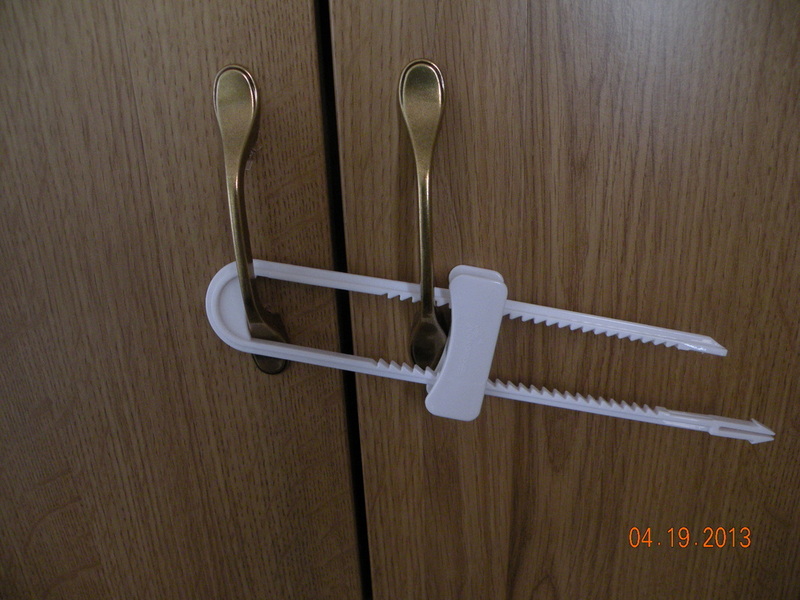 A parents fear - their kiddo getting into the cupboards because they are quicker than the dogs at the racetrack and can open Anything while you just blink. But which ones are good & which ones are not so good? That is a difficult question, but I can tell you I just received a set of Sliding Locks by dreambaby. I wasn't sure how they would work because when I took them out of the package, they seemed kind of flimsy. Of course they are all plastic like they all are, but they are stronger than the past ones I've had. They do seem to bend a touch easier, but they did not twist like the last set I had. 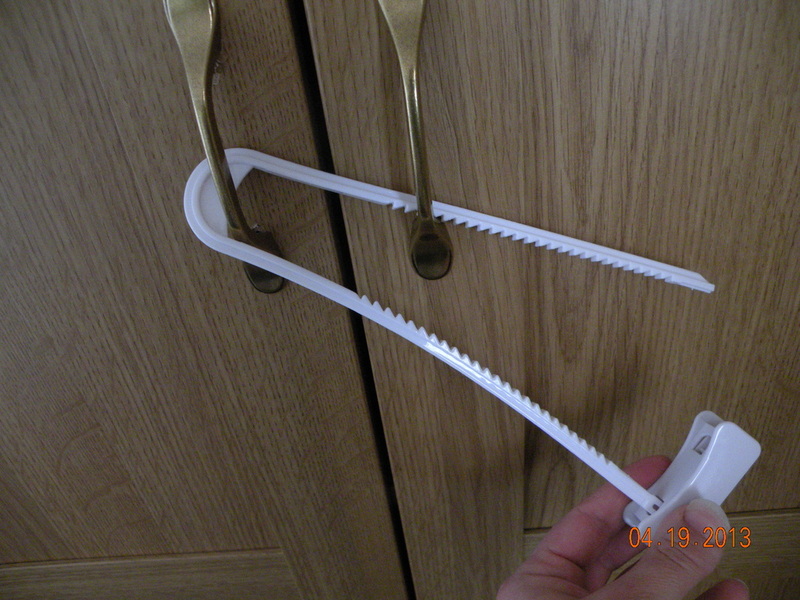 I like the fact that you have to push both sides instead of just one side to open and close the lock and there is a safety "bubble" on the end so the lock doesn't slide off. 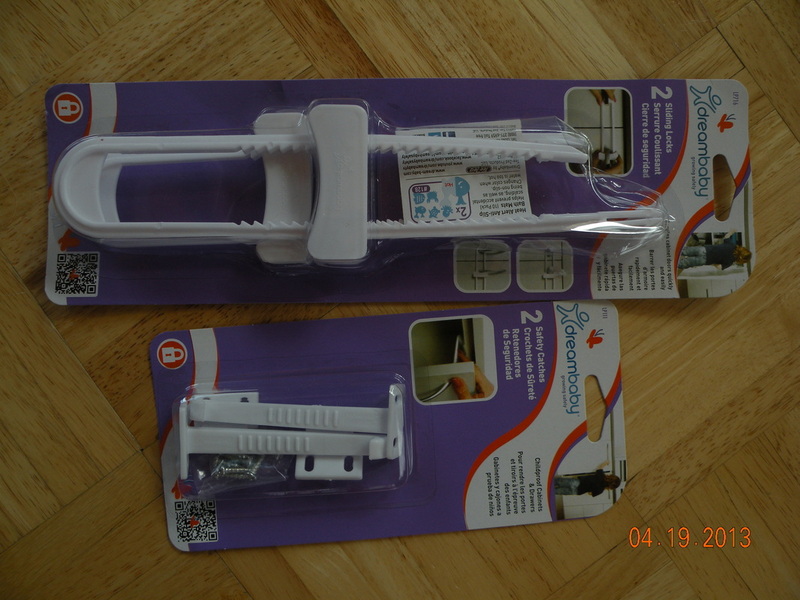 I pulled on it after having it on the door and it did not come apart. I asked my son to try to open it and he was unable to get the buttons pushed in. I also received a pack of 2 safety catches. These I have not opened and will be giving them to a friend who uses them because both my kids have figured out how to use them and when I have them on the cabinets are more "fun" to play with - so we have removed them all. I did Not receive any compensation for this review. I recieved these products as safety items for my children & hope that this information can help other out :) The opinions expressed are completely mine & my childrens. I really care that much about my undergarments that I'm going to have a seperate laundry detergent for them? You know what - I just found out that it is supposed to be great for everything you wash! I was one of the lucky ones selected to receive samples (for myself and others that want to join me in trying Woolite out) and see exactly what I think of it. I need to get a couple pictures before I put that load in & then give you my opinion, but I'm pretty excited to see how it works. After my husband got home, I handed him a package of the Rev & asked him to tell me what he thought. He first looked at the package & was very impressed by the calories, and protein. He then opened up the package & once he pulled it out said that it was doughy (My son & I had not said anything to him about what we thought). So.... he decided that he wanted to try it warmed up - he popped it into the microwave & said that he would eat these again if they were warmed up because they are WAY WAY better that way. I tried it & agreed. We did a comparision between his protein bars & the REV. There is more protein in the REV, if I get them on sale they are less expensive per piece. But if I have to pay full price, the bars are more cost effective per piece. We were excited to try them (FYI: We don't look at other reviews so we can make our opinion 100% ours). We opened the package & it looked like a really good snack - everything nicely rolled & Visible (my son MUST know what he is eating). He touched it & said NO!!! Reason: it's kind of soggy to the touch. I liked the flavor & the way the meat was meat & the cheese was cheese. I don't think the bread held up that well, but I would eat them again. I picked up the cotton & Italian Mandarin Starter kit (mist) & I LOVE the smell! It is super fresh & inviting (Nope - never thought I would use inviting with a produced scent). I can see myself using this the most in our 2nd bathroom, playroom, and laundry room. As for the Oil Diffuser, I picked up the Fuji Apple & Cardamom Spice. It's really pretty & looks really good in my kitchen plant window. I have never really been the pre-packaged meat type of person. I like to bake it, broil it, grill it (ok - you get the picture) and then use it from there. So.... when I got asked to Bzz about the Hormel Rev, I did have to think about it. But.... Not for long - why??? because my son is ALWAYS HUNGRY! We have to Drive Everywhere, so what better than to grab one of these & go? We'll find out - because, I have been given the opportunity to give these a try & see how they are liked. Who Doesn't love to have a wonderful smell when you walk into your house? I know I do - which is why I was soo excited when I got asked to try the Glade Expressions Collection. I will get to try a Fragrance Mist & an Oil Diffuser! Who doesn't love set it up, forget about it, and reap the benefits? SO.... It was super cool to get this little package in the mail & have NO idea what was in it. First off, they packaged the food SOO well that I knew there would not be any holes in the bag and they weren't wasting materials they didn't need to use (oh yeah & I didn't need to figure out what to do with extra packing material). There wasn't any identifing information on the package - SUPER Great since I didn't hear the driver come and he needed to leave it at the doorstep. Now, I don't think anything would happen to my package - but it's always nice when it does say DOG FOOD!! COME & GET IT!!! I immediately opened the bag and smelled the food - it didn't have a nasty odor like some of the other foods out there & I noticed that it wasn't super greasy either (good, because my dog doesn't need the extra grease & doesn't really like to eat greasy stuff). Now, the Ideal Balance Diet pellets are a little smaller than the food that she is used to, so she did eat them slower than I anticipated when it was actually feeding time (we do twice a day feeds so it was easy to see her reaction). She didn't seem upset that the food was changed and happily ate, and even though the pellets were smaller I have yet to see them get stuck in her teeth like other brands do. 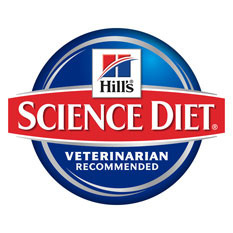 I believe that she enjoys being an honorary Buzz Agent and was more than happy to test the new food that Hill's Science Diet formulated. I like the ingredients that they used and feel that the pricing is good & comparable with other Hill's products. So, I'm a little bummed! I'm not exactly sure what happened - but after waiting and waiting, I never received my bag of food for trial. So, I decided to check out the petfooddirect.com site and see what the status of my order was. Well... to my surprise, the bag of food was still sitting in my cart! I knew I was having problems with my computer, but I didn't realize it assisted in me NOT completing my order, so... That being said - you'll have to wait for an official review of the new food. But hey - I figured it out and will be able to update you soon! Looking forward to this Bzz as is my lovable pup! I'm really excited, it's taken a little longer than I expected but we will soon be able to try out the new Ideal Balance Diet by Science Diet. We had to wait because they ran out of stock before I could place my order (bummer :( but they petfooddirect.com was quick about re-stocking and letting Jono (my buzz agent go to) know that it was back in stock & ready to order. I am a buzz agent, which in itself is really cool because I get the opportunity to try products that are sent to me for free!!! It was really nice to use both of them & I was happily suprised that the cleanser was light and fresh and didn't leave my skin feeling dry after I used it. The lotion was great also. It was soft and easy to apply & I will also mention that the bottle was nice because it only pumped out a small amount so there wasn't really waste. I applied the lotion twice a day instead of once a day, but I have really dry skin.